On Tuesday morning, January 23, 2018, the Hon. 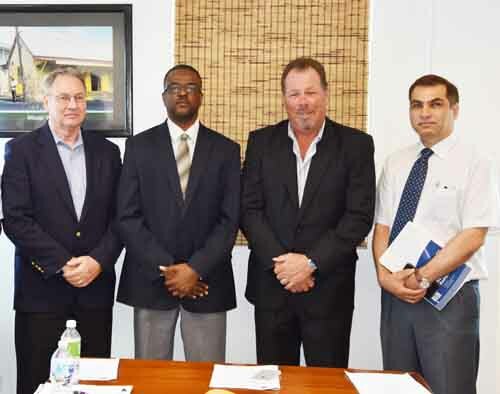 Minister of Energy Paul Lewis and his energy team, met and hosted officials from Thermal Energy Partners (TEP) out of the USA and Alquimi Renewables, in an Early Market Engagement (EME) to review the sites, and present an initial proposal for the geothermal project. They later met members of the press to discuss their vision for supporting Montserrat’s push to run on 100% renewable energy. Bruce Cutright of TEP said Montserrat was sitting on a gold mine, adding that the tough work had already been done by investing in the exploration of the wells. He said they were interested in offering up to 100% financing for the building and operation of a geothermal power plant. However, Minister Lewis shared that it is important to him that Montserratians have a stake in the project moving forward. 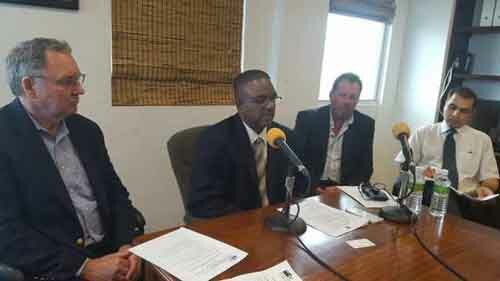 The well researched Cutright said that although the early assessments have put the output power of Well 1 and 2 at around 3MW he is confident there is much more, which can be the basis for the regeneration of Montserrat’s economy by lowering costs to consumers and attract businesses who need cheaper energy. 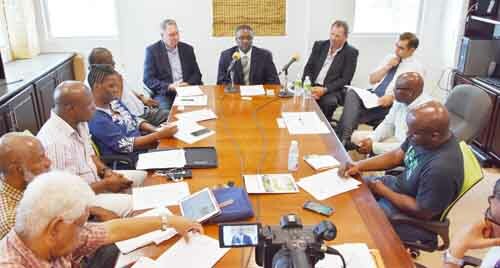 He also revealed that TEP is currently a partner with the Nevis Government in its geothermal project. 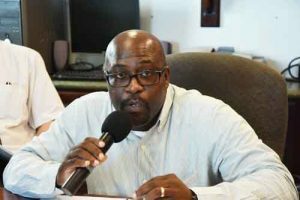 He said TEP is, “excited about submitting a formal response to Early Market Engagement and we hope that we can go forward and really become a partner with the Government of Montserrat. The geothermal exploration of Wells Mon1 and 2, as well as a third, has been funded by the Department for International Development (DFID). DFID Infrastructural Advisor Iftikhar Ahmed reported that work on Well 3 which was halted after a partial collapse in 2017 said a new agreement is being completed for the resumption of work at the third site, which he expects will be in the next couple of weeks. Mr. Indranil Ahmed (newly appointed Infrastructure Advisor for Montserrat, St Helena and Tristan da Cunha for of DFID) also indicted that the Mon3 well is not critical to developing geothermal energy in Montserrat. However there is an intent to use one well for reinjection of fluids after heat has been extracted to generate electricity. DFID is committed to the development of three wells, including rehabilitation of the third well, which is now at 2.4 km depth. DFID’s focus going forward is on a public-private partnership engagement towards successfully developing Montserrat’s geothermal resource, as the current plan does not involve DFID funding the development of a power plant. But, they will maintain their commitment to the short and long-term testing of the resource. This is the second EME visiting event that the Government of Montserrat has done for the generation of geothermal power. Late last year, Exergy was the first company to have participated in the initiative. Minister Lewis revealed that a potential six companies in total have expressed interest, informing that the Government of Montserrat is exploring the possibility through expressions of interest of concretizing a public private partnership going forward there are a total of six companies have indicated an interest in bidding on the project.